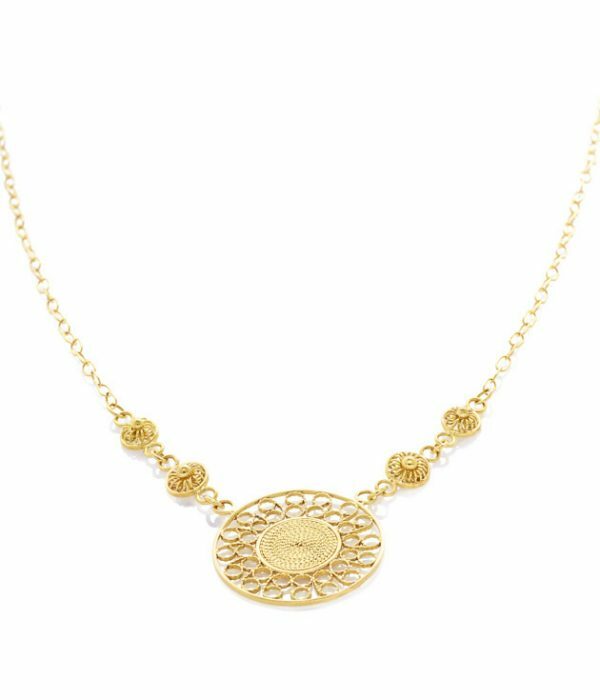 This majestic and refined necklace has a stunning craft which evokes nature and magic realism. 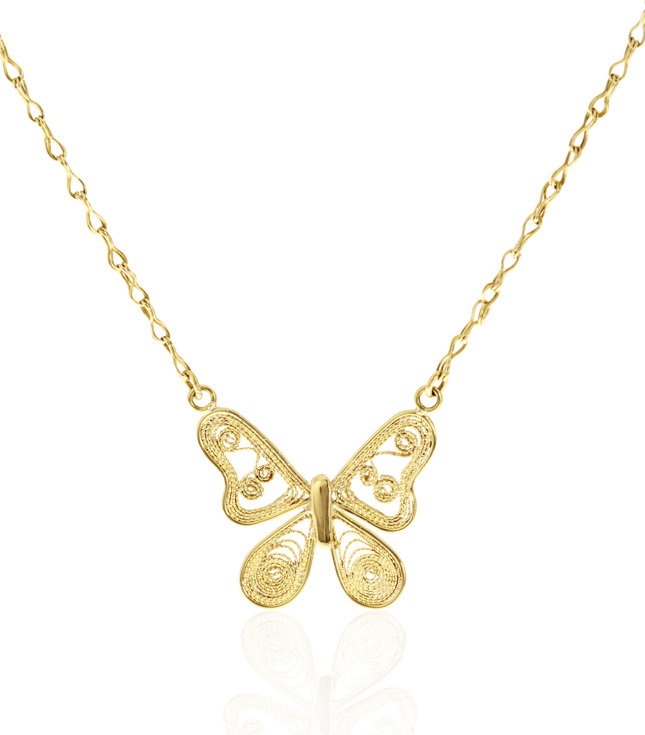 The butterfly pendant hangs elegantly from the tip of each wing and is fastened to our hand-crafted version of the oval link chain. 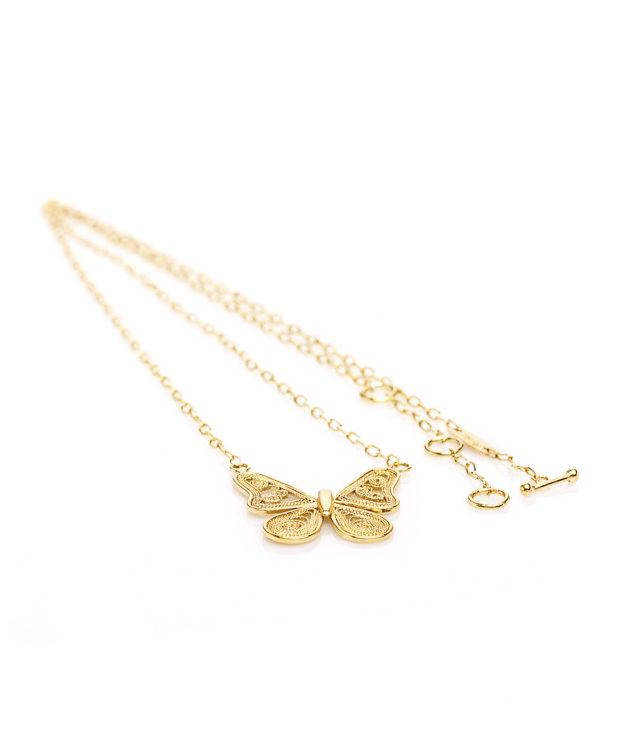 The jewel is marked on the back with our emblematic butterfly hallmark and the 750 (18 carat) stamp which guarantees the purity of our Eco-friendly gold. 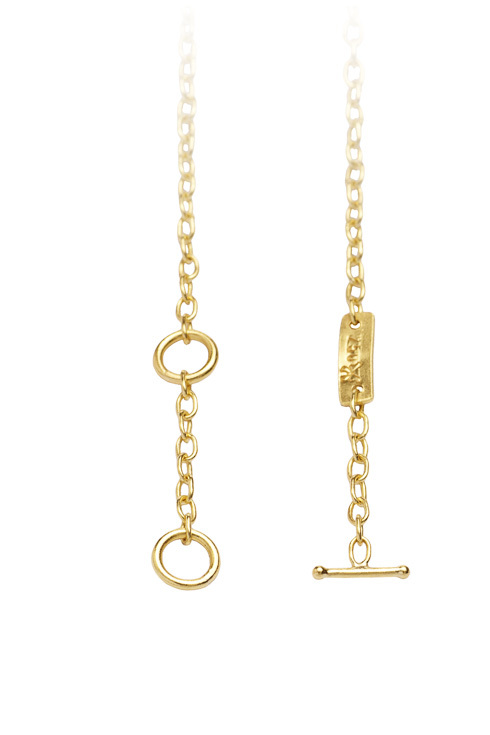 All our jewels follow the Austrian Hallmark regulation. Mnya is the glowing golden color and the contained power of the energy in Muisca mythology. Like a shoot sprouting from a seed, the energy focused in the center spreads to the surroundings creating an aura of protection and courage. 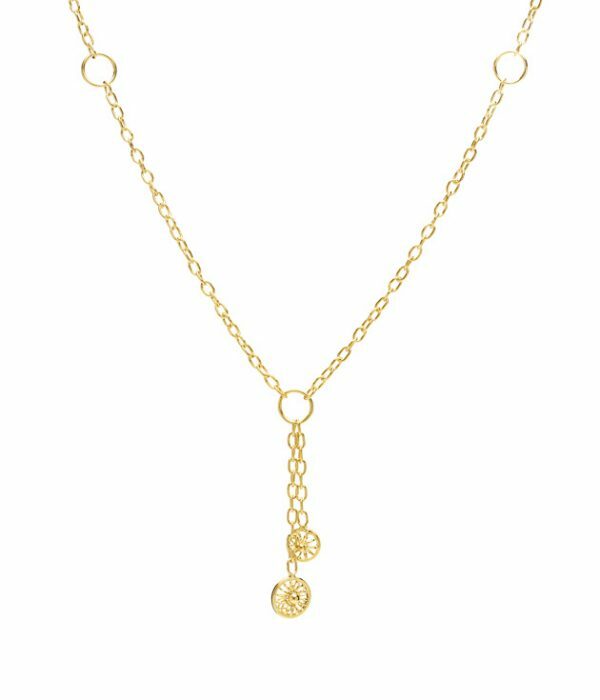 The Mnya necklace is a hand-crafted version of the wheat chain paired with five small charms distributed evenly around the necklace. 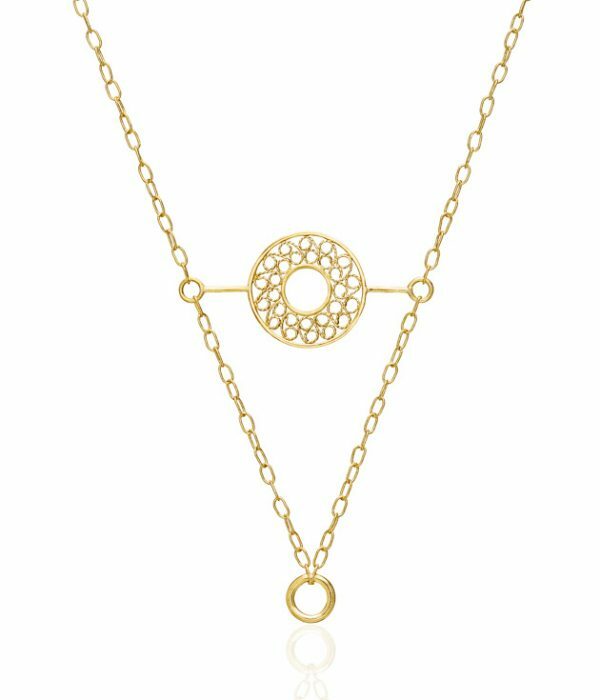 This elegant piece is lovely paired with our Orika earrings and Mnya bracelets.